Wedding Etiquette and Advice is an area that can cause a lot of stress for the bride and groom and those attending a wedding. From whom to invite to the rehearsal dinner to when to send out my thank you notes, wedding etiquette can be a little confusing. To help the situation, we decided to put together a list of common etiquette and advice situations and how they should be handled. The results are listed below. Are favors necessary? We are on a really tight budget. While wedding favors are not required, it is a nice gesture to send your guests home with something. Work within your budget, and try to come up with something. It does not have to be expensive or elaborate. Candy, for example, can be an inexpensive option that everyone usually likes. Should we have the same number of bridesmaids and ushers? It is perfectly OK to have more of one or the other in your bridal party. When walking down the aisle, just have two bridesmaids for one usher or vice versa. How can I involve important people in my wedding besides making them a bridesmaid or groomsman? Reading a poem or religious passage is the perfect way to involve someone in your wedding. Other options include asking them to sing (assuming they have a good voice) or play an instrument during the ceremony or reception, have them hand out programs and asking them to be in charge of getting your wedding gifts to a safe place after the reception. What if a friend turns down being a bridesmaid because she can't afford it? There are two options here. First, you could foot the bill for her expenses if it is within your budget. If she is a really close friend this may be a good option, however avoid telling the rest of the bridal party to avoid any issues. Second, you could involve her in another way, like asking her to be a reader instead of a bridesmaid. to find thank you note examples you can use for your wedding. Is it ever too early to start looking for a wedding dress? No! 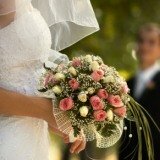 Common wedding etiquette and advice says that it is never too early to look for a wedding dress. You will quickly find that there are many different styles of dresses, and it is easy to get overwhelmed. However, if you are planning on losing weight before the wedding, you may want to consider doing some research and waiting to buy the dress until you are closer to your wedding weight. Keep in mind that alterations can become very costly. This is my first wedding, however I am over 40. Can I still wear white? Yes, you should wear white if you want to. There are many options when it comes to gowns these days, so don't be worried about finding one that is sophisticated and elegant. Is it OK for me to choose the dresses for my bridesmaids? It is a good idea to take into considerations each of your bridesmaids' tastes and style, but it is perfectly fine to choose the style and even the color of the dresses your bridesmaids will wear. Be thoughtful, however, of what you are selecting so that each bridesmaid feels comfortable in what dresses you select. Bring along your maid of honor or another bridesmaid when you shop for the dress. They can offer advice and act as your model for the day. Do I really need to have a Bachelorette party? Bachelorette parties are a tradition that many people look forward to, especially friends and family that are bridesmaids in your wedding. If men in thongs and shots of Tequila don't appeal to you, there are some options. Ask your maid of honor to arrange a Bachelorette party that matches your style. There is nothing wrong with having a relaxing day at the spa or a relaxing weekend at the beach. Our guest list is out of control. How do I cut down? This is one of the more challenging wedding etiquette and advice questions. Your first step should be to implement a few rules. Examples are: no coworkers, no children and no distant long lost relatives. Cutting down on your guest list can be very challenging, but laying down some rules can help. Traditionally, the groom's family pays for the rehearsal dinner as a way to thank the bride's family for hosting the wedding. However, in this day and age anyone can host the rehearsal dinner. If the bride and groom are paying for the wedding the bride's family can pay, and many times other family members wish to pay for it including grandparents. Who should we invite to the rehearsal dinner? At a minimum, you should invite your wedding party, both sets of parents, immediate family members, the officiant and his or her spouse. It is also a nice gesture to invite guests who have traveled from a far distance or any relatives that you haven't seen in a while. Remember, the rehearsal dinner is supposed to be small and less formal than your wedding. Work within your budget to avoid a situation that gets out of control. Should I pick a date or a Reception site first? Your best plan would be to first pick a season - like fall, spring, etc. - and then pick a few dates that might work. Reception spaces tend to fill up well in advance, sometimes a year or more in advance for popular spaces. Then visit reception sites that are open on your proposed dates. 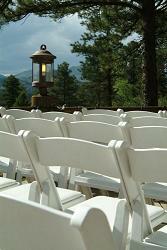 Starting early is the best way to ensure you get the date and reception space you want. We are having a fabulous wedding cake at the reception. Should we have other dessert options available? 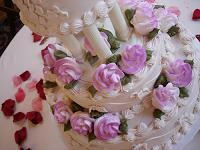 It is perfectly fine to only serve cake according to wedding etiquette and advice rules. If you have the budget and desire, it is certainly OK to serve other types of dessert in addition to your cake. Our budget is tight, and we were thinking about not having an open bar. Is this OK? This is another of the more popular wedding etiquette and advice questions that we often receive. You have a few options other than a cash bar. To cut down on costs consider offering only beer and wine at the reception. Other options include offering only champagne punch or a signature drink in addition to wine. Do we really have to do a receiving line? We are inviting 250 people, and we want to make sure we have time for photos. If you are really concerned about timing for photos or the timing of your cocktail hour, skip the receiving line. Just make sure that you make your rounds during the reception and thank everyone for coming. 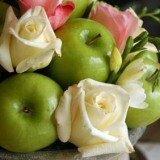 Thank you for visiting our wedding etiquette and advice page. If you have additional questions about wedding etiquette and advice, please visit Ask The Wedding Planner.